Home / Opinion / Falana: Saraki Being Politically Victimised? That’s Nonsensical! 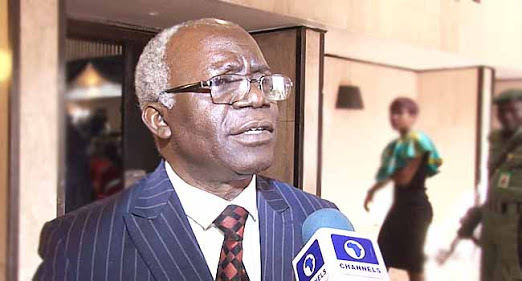 Human rights lawyer Mr. Femi Falana (SAN) says the investigation and prosecution of anyone found to be connected to the Offa bank robbers should be separated from politics. Falana made this known in Lagos on Wednesday at a civil society round-table discussion organised by the Human and Environmental Development Agenda (HEDA). The discussion was on the difficulties being faced in the administration of criminal Justice Act and the termination of stay of proceeding in criminal trials. In his address, Falana recalled how a Brazilian bank was duped of the sum of $240million by a Nigerian fraudster. He said the bank reached out to him and 11 others for legal aid. “Please, I beg all of us, let us separate criminality from politics. Wherever a criminal is identified, the law must have its way; the full weight of the law must be brought on the person. Otherwise, you may be a victim tomorrow if we don’t eliminate criminality in this society. Falana was not the only notable figure at the meeting. Also in attendance were Rotimi Jacobs (SAN), Monday Ubani and Jiti Ogunye. Dr. Biola Akiode-Afolabi chaired the discussion, while the welcome address was delivered by Mr. Olanrewaju Suraju, Chairman of HEDA.